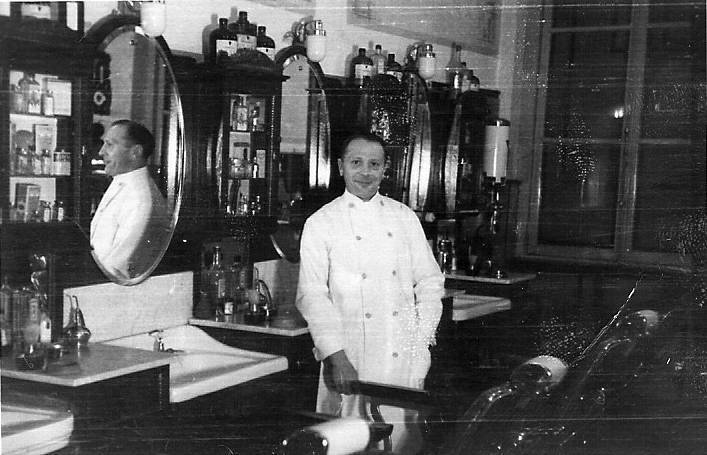 Barber Nikkela Craft founded Salon Craft in 1889 in the Smedenstraat, Maastricht. 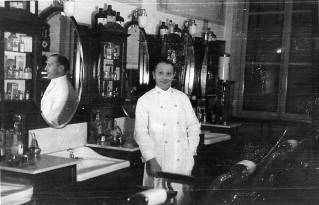 In 1919 his son Mathieu Craft took over the family business. Salon Craft moved to Achter het Vleeshuis before settling down in 1952 on Onze-Lieve-Vrouweplein, the most beautiful square in the Netherlands. In 1960 Mathieu passed Salon Craft on to the third generation. Nico Craft became his father’s successor. The prevailing mentality of that given time called for change and innovation. In the next years Nico transformed the salon to a full-service hair and beauty centre for men. He also started offering microscopic hair analyses and added a studio for wigs and hair extensions. Eric Craft is the fourth generation of the Craft hair stylists. In 1988 he started as a partner with his father. Both Nico and Eric are certified Biosthéticien, a title they earned by passing the expert hair and skin training of La Biosthétique. The Father-Son team is constantly developing new possibilities for their male and female clients. Queen Beatrix awarded Salon Craft the status Hofleverancier (Purveyor to the Court) on its 100th anniversary in 1989. It was the mark of recognition for Salon Craft’s important regional role in its field and for an impeccable reputation. Currently the fifth generation is getting a taste of the trade. Eva, like her father and grandfather, is also interested in hairdressing. Yet, the future is still undecided.